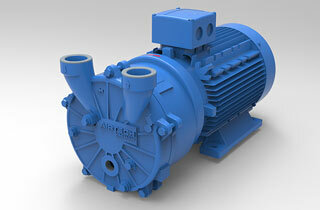 In the pharmaceutical industry, vacuum pumps are one of the most widely used types of equipment. They can be employed at all scales, from industrial to pilot production, by all sectors, as well as from producers of Active Pharmaceutical Ingredients to manufacturers of intermediates. 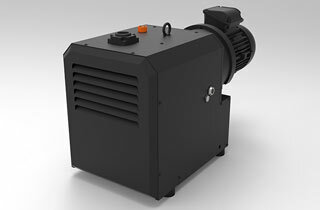 At Airtech Vacuum Incorporated, we carry stellar vacuum solutions that are designed to provide superior performance. FDA approved drug products, active ingredients, intermediate products, and bulk products are the four main types or combinations of pharmaceuticals that are manufactured today. Intermediates and bulk pharmaceuticals are usually manufactured by fine chemical companies, which also utilized liquid ring vacuum pumps and compressors on a regular basis. Drying is a typical process that calls for vacuum technology. You should note that it is a crucial step in the pharmaceutical production sequence as well. Drying takes place almost instantly after filtration or centrifugation. The process is designed to remove moisture from wet solids via the introduction of heat. In order to dry hygroscopic or heat-sensitive substances, the batch operation needs to be carried out under vacuum and at low temperatures. One thing to note about distillation in the pharmaceutical industry is that it involves the separation of two or more distinct zones or layers. Vacuum and temperature are two things that need to be actively changed to form a distillation column. The vacuum systems in these processes are responsible for the removal of non-condensable light ends, water, and load to enable the smooth processing of the feedstock through the column. The column then provides an environment where each liquid component can be accurately separated. Why Choose Airtech Vacuum Incorporated For Pharmaceuticals? 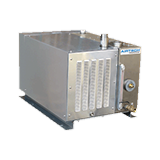 Airtech carries an extensive line of ready to ship products as well as provide cost-effective, custom engineering and design solutions for vacuum and pressure products. Our team can build products according to your company’s unique needs. We understand that the pharmaceuticals industry has its own set of challenges, and that’s why we do not offer cookie-cutter solutions. We strive to offer precise solutions that help you deal with those challenges head-on. When you shop at Airtech, you are guaranteed a safe and pleasant shopping experience. Your personal and purchase data are in safe hands at all times. What’s more, our friendly representatives are always ready to answer any product questions you have in mind. Start looking through our inventory for top of the line pharmaceutical vacuum pumps today and shop with confidence.